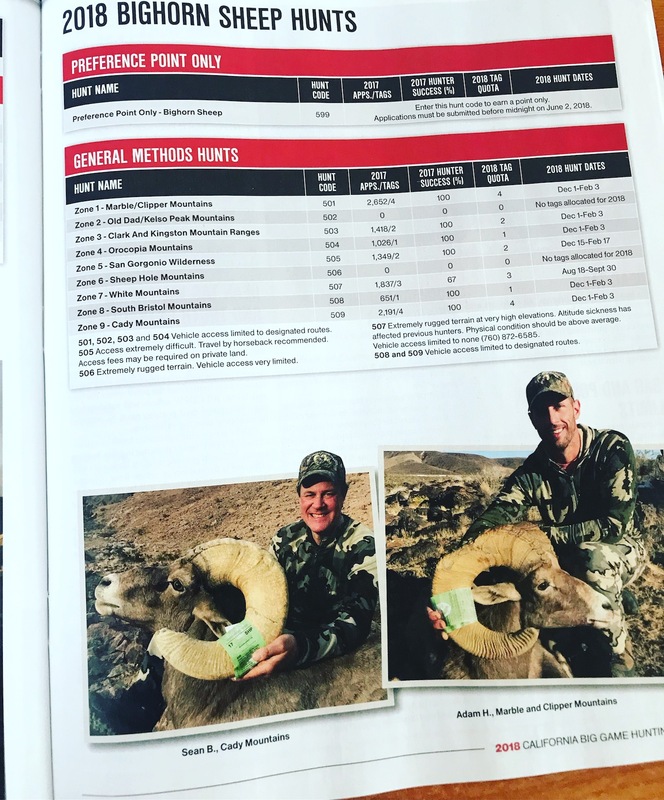 So excited to learn my California Desert Bighorn Ram picture was included in this year’s California Big Game Digest. 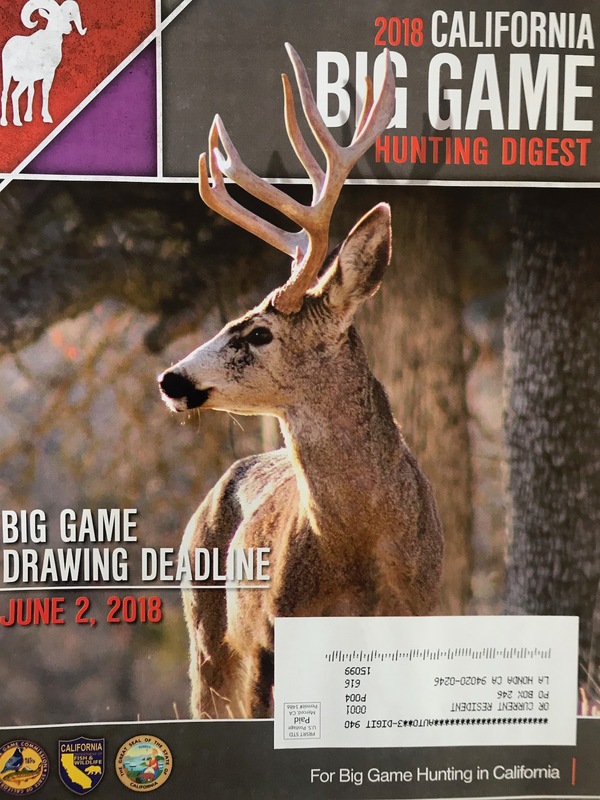 Thanks to the Dry Creek Team to have me take a picture ‘with the CA tag on’ to send in. 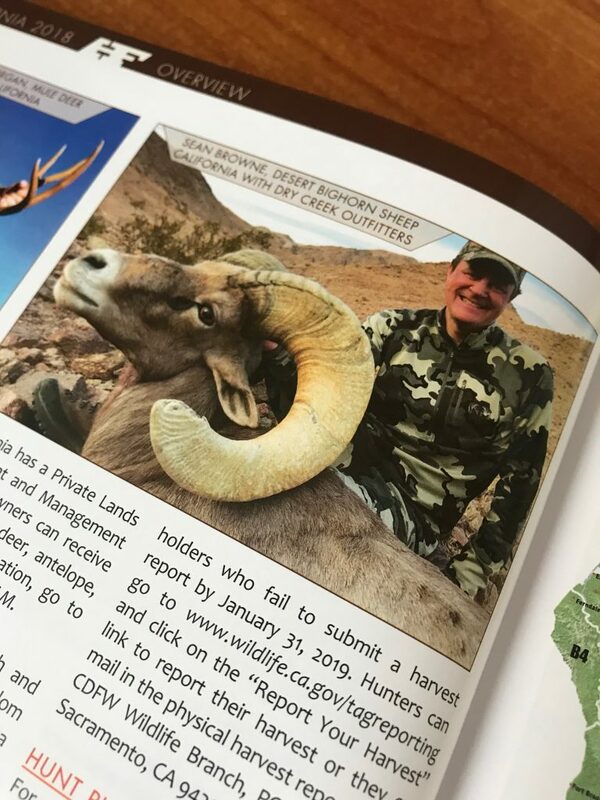 And later I was surprised to see me again in the California section of the May Huntin Fool magazine. Was so happy to see them both!